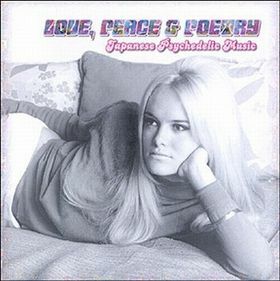 Love, Peace & Poetry - Vol.4 Japan is the fourth volume in the Love, Peace & Poetry series released by QDK Media and Normal Records in 2001. This volume explores obscuro garage rock and psychedelic rock bands from Japan. Wow, I've just discovered your blog and I'm absolutely blown away by the ethiopiques series. Just incredible. Thank you SO much. awesome of you to be like so blown away by this here jelly jelly blog o' mine! i advocate all manner of musics here, as well as my other sites...keep checkin' back for more goodies!